As Chairman of Deutsch Inc., Donny implemented his “leaner, meaner, faster, smarter” philosophy to transform a small advertising shop into one of the nation’s top 10 agencies. The $2.5 billion full-service agency has provided clients with strategic marketing programs that are intrusive, effective and talked about. Prestigious clients include Johnson & Johnson, Anheuser-Busch InBev, DIRECTV, Kodak and IKEA. In 2005 Donny penned a business motivation book, “Often Wrong, Never in Doubt,” based on his career experiences. Reviews have called his writing “bold, funny and often irreverent,” and Newsweek noted “his trademark candor can be cringe-inducingly un-P.C…But it’s refreshing when he applies it to his agency’s and his own successes and failures, and draws lessons from each.” Donny is a managing partner of Deutsch Open City, an independent production company, which has produced a string of highly acclaimed independent films. He also had a brief turn in politics as a lead member of the Clinton/Gore communications team in 1992. Donny is a graduate of the Wharton School at the University of Pennsylvania. He also serves on the Executive Committee of the University of Pennsylvania’s School of Social Policy & Practice as well as on the Board of Directors for the Michael J. Fox Foundation for Parkinson’s Research. Do you want to hire Donny Deutsch? Directly request a quote. In 48 hours we can send you the availability of Donny Deutsch If you would like to book Donny Deutsch, Entertainment Booking Agency is the right place. 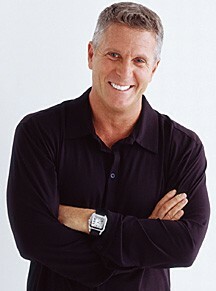 We will offer you the best price and contact the management or we directly contact Donny Deutsch. For corporate appearances or speaking engagements you can contact our agents and the will help you true the process. Tags: hire Donny Deutsch, Donny Deutsch booking, book Donny Deutsch, Donny Deutsch appearances, find more information on booking Donny Deutsch for appearances, Donny Deutsch speaking engagements, Donny Deutsch endorsements/spokesperson, Donny Deutsch appearance fees, Donny Deutsch booking agency contact info, biography of Donny Deutsch, Contact an artist booking talent agent find a speakers bureau that can book Donny Deutsch, speaker booking agency for Donny Deutsch, Donny Deutsch booking agency, Donny Deutsch booking for corporate event. EBA is one of the biggest entertainment booking agencies in the World. We book hundreds of celebrities, artist, athletes and speakers in a year. Important to know is that we are not claiming to be the management of Donny Deutsch. We are not the official agent for Donny Deutsch. Companies from around the globe book these artists and speakers true our company be course we have one of the biggest networks and we always have direct contact with the artist or the management. We help you to find the right celebrities for your corporate of private events. Please contact one of our agents to get free advice and we will help to get the world-famous artist on your party.